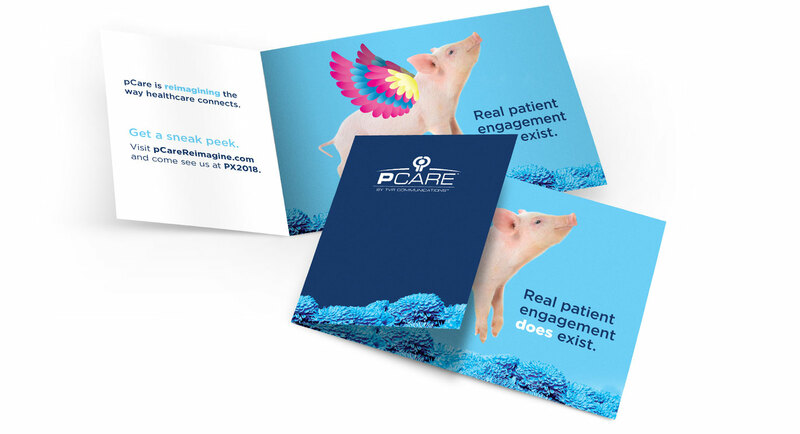 pCare couldn’t wait for its research-fueled brand identity exploration and rebrand initiative to stand out in the competitive interactive patient experience market so we jumped right in with this disruptive interim—and award-winning—creative concept. This trade-show creative was a clear industry stand-out, earning first place at PX2018—and getting the lion’s share of the attention at the 2018 Healthcare IT Expo and Cerner Health Conference. All activities drove prospects and clients to this landing page positioning pCare as the leader in real patient engagement. While initially created for PX2018, it’s been updating to capture leads from other interim initiatives as well. 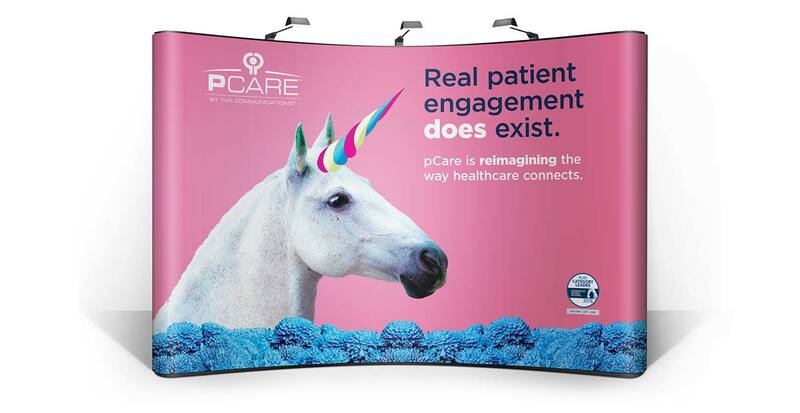 With fantasy creatures capturing attention, this video, which lives on the landing page, brings pCare’s real brand differentiators home.